Wayne Deakin has joined brand experience agency Huge as executive creative director to head its London and European offering. Deakin was most recently executive creative director for AKQA London, a role he left last October. Prior to AKQA, he was joint executive creative director for the Engine Group. Harvey Nichols has appointed Deborah Bee as group marketing and creative director. Bee joins from sustainability-focused brand consultancy Eco-Age, where she has been brand director since last May. She was previously creative marketing director at Harrods. Bee replaces Shadi Halliwell who left last year to join Three as chief marketing officer. Quintessential Brands Group has appointed Shane Hoyne as chief marketing officer. Hoyne will also be a member of the Quintessential Brands Group executive team. Hoyne joins Quintessential Brands from Bacardi where in addition to his role as chief marketing officer for Europe, he was also responsible globally for brands including Martini Vermouths, Bombay Sapphire Gin and Dewar’s Scotch. He replaces Mike Salmon, who will continue to work for Quintessential Brands as a non-executive director. 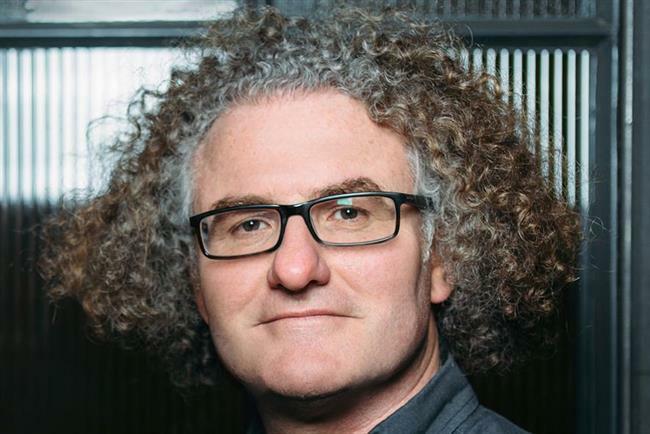 Digital agency Jellyfish has named Paul Mead as an executive board director. The appointment is effective immediately. In 2006, Mead founded VCCP Media, which he led as chief executive from a two-person search specialist to a top 20 full service media agency. After completing his exit in 2016 he has continued to work with the group as a consultant. In addition to his role at Jellyfish, Mead will continue to work as an adviser and consultant to major technology companies, brands, start-ups and private equity firms. Amy Kean has been named head of strategic innovation, Starcom global clients. Previously, she held the role of vice president of strategy and planning for Beamly, Coty’s in-house digital agency. She also has experience in senior positions in both Mindshare APAC and Havas Media Labs in which she created the first media agency start-up hub in the UK. The & Partnership has appointed Jim Stump as a digital creative director across its pan-European work for Toyota. Stump has worked at agencies including Work Club, Havas and We Are Social working across accounts including Samsung, Chivas Regal, Mercedes, Volkswagen, Heineken, Google, and Sony. Rolls-Royce has announced that Henrik Wilhelmsmeyer will join Rolls-Royce Motor Cars as director of sales and marketing from 3 April 2018. Wilhelmsmeyer rejoins from his current position in BMW Group as head of Mini region Asia, Pacific, South Africa and importer regions, a role he has held since 2014. Previously, he worked at Rolls-Royce Motor Cars as director for region China. VCCP has hired David Masterman as creative director. Masterman joins the agency after six years at J Walter Thompson London, where he worked on accounts including Mr Kipling, Oxo, Quality Street and InterContinental Hotels. He was previously at Fallon and BMP DDB, where he worked on Volkswagen. Digital marketing and SEO agency, Distilled, has hired its former PR and head of communications Jess Champion to head up its London office as vice president. Previously, she was director of communications at cancer charity, Ovarian Cancer Action. Her predecessor, Craig Bradford, has moved to become the agency’s first-ever vice president of DistilledODN. The International Advertising Association (IAA) UK Chapter has elected Inskin Media’s chief marketing officer, Fran Cowan to the new role of vice president, marketing. Cowan will continue to work in her role at Inskin, where she leads the company’s global marketing and communications activities, and to serve on the IAA UK’s professional development committee.